Congrats to Capt. Mitch Blake, his one tarpon was good enough to beat out the best of most of the best in the local tarpon tournament held this past weekend. 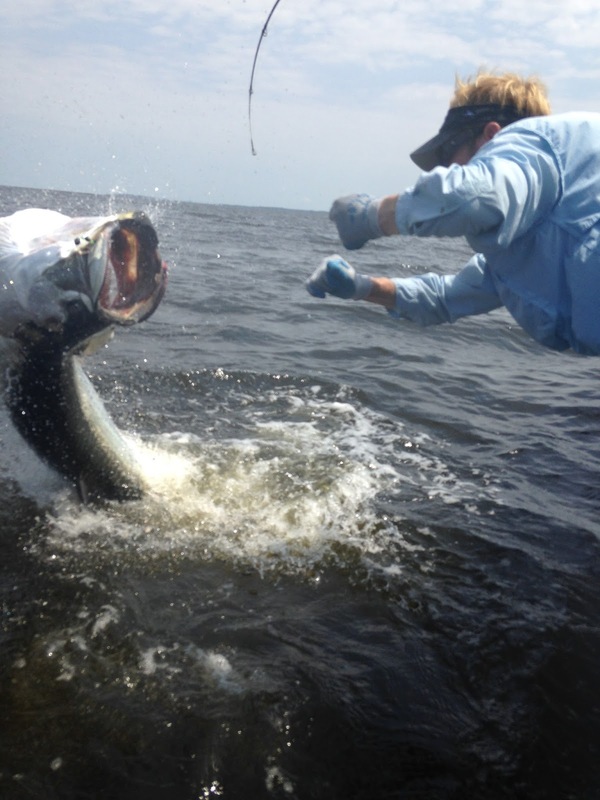 Although tarpon were seen from Oriental to Bath and throughout the sound, he was the only one to get a bite and get it to the boat. 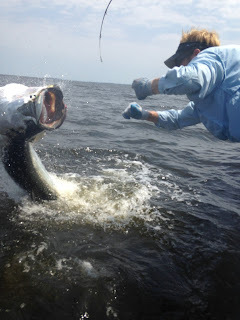 Couple of the teams did get into some pretty cool sight casting at tarpon under ideal conditions, but the only bites they got were from the more aggressive 30-40 pound drum that took their baits before the tarpon got to their baits.